If you’re between the ages of 19 and 35 there’s a pretty good chance you’ll be attending a wedding—or five—over the next year. And while plane tickets and registry gifts can add up to a small fortune, buying yourself a brand-new outfit doesn’t have to break the bank. What it will do, however, is help you stand out in a good way; at the ceremony, the reception, and on social media, where dozens of un-approved photos will inevitably pop up the morning after. Cotton is your friend. Linen is too. Wool and cashmere? Not so much. You want fabrics that are lightweight, breathable, and have just a little bit of stretch. Because you can’t do the worm in a straightjacket. Lighten up. Darker colors not only read as more formal, they also attract more heat than lighter ones. 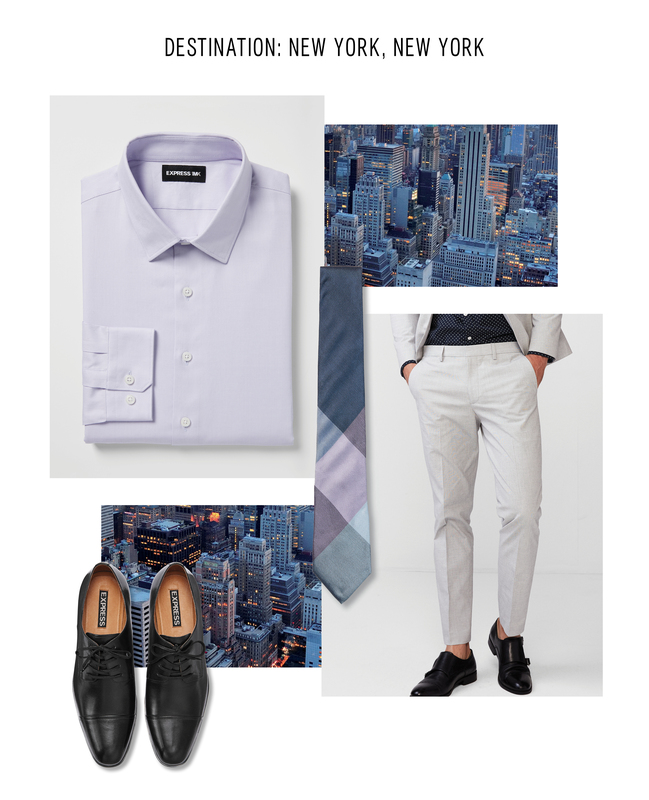 Black, charcoal, and navy aren’t necessarily off limits during the warm months, but remember that embracing a lighter palette will keep you cool (literally and figuratively). Pay extra attention to fit. Cotton and linen tend to wrinkle more easily, and that’s doubly true with suits that are partially linen or unlined. Throw in some sweat, possibly some salt air, and lots of sitting, standing, and dancing, and you have a recipe for rough laundry-basket vibes. Nip that issue in the bud by picking suits that are cut slim and spending extra QT with your tailor if need be. Whether indoors or outdoors, daytime or evening, a warm-weather wedding calls for some color. You don’t need to go overboard. Remember, a little bit goes a long way. 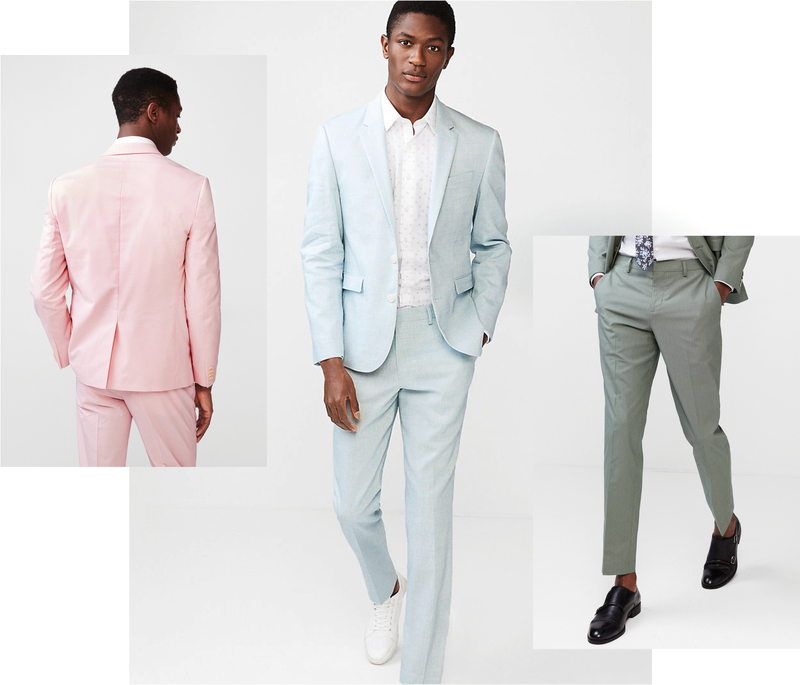 Soft pastel colors like sky blue and pale pink look sharp for a wedding that’s casual and fun. Or try pale green or brown for an earthier option that’s equally charming. If you’re not sure how to style a suit in an unconventional color, try picking a shirt and tie that’s in the same color family (but not the same exact color). If all else fails, you can never go wrong with a crisp white shirt and black or brown dress shoes. 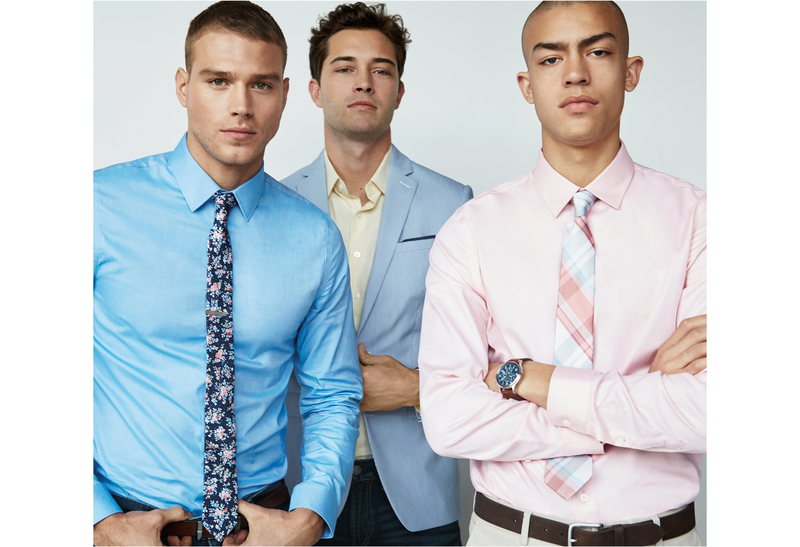 For a slightly more conservative but no less on-season look, style your standard gray, tan, and navy suits with a colorful shirt or tie you purchased specifically for a warm-weather wedding (and not for an 8am presentation at work). Here are three combinations we like and when to break them out. 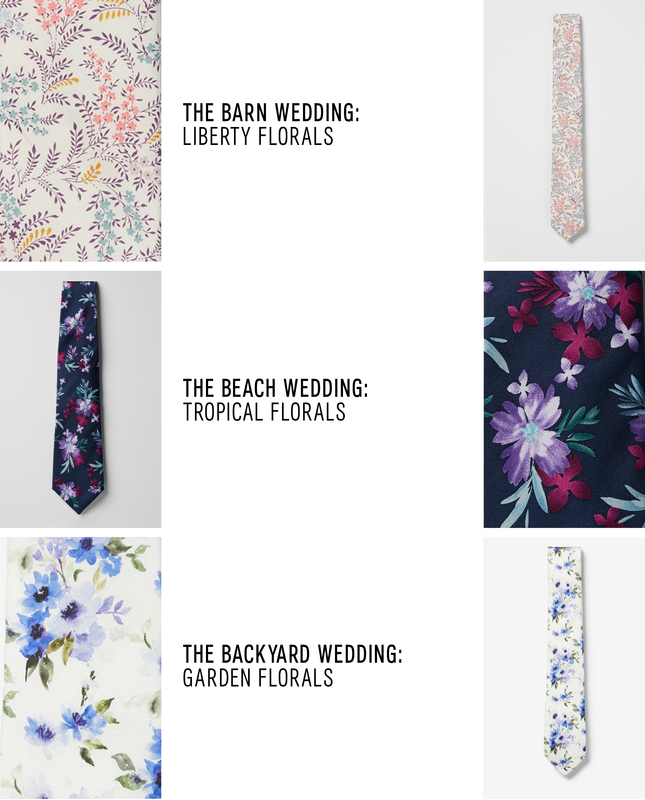 Florals and formalwear go hand in hand, but pick the motif that matches your locale. Here are three key combinations to know. Do I Even Have to Wear a Suit? 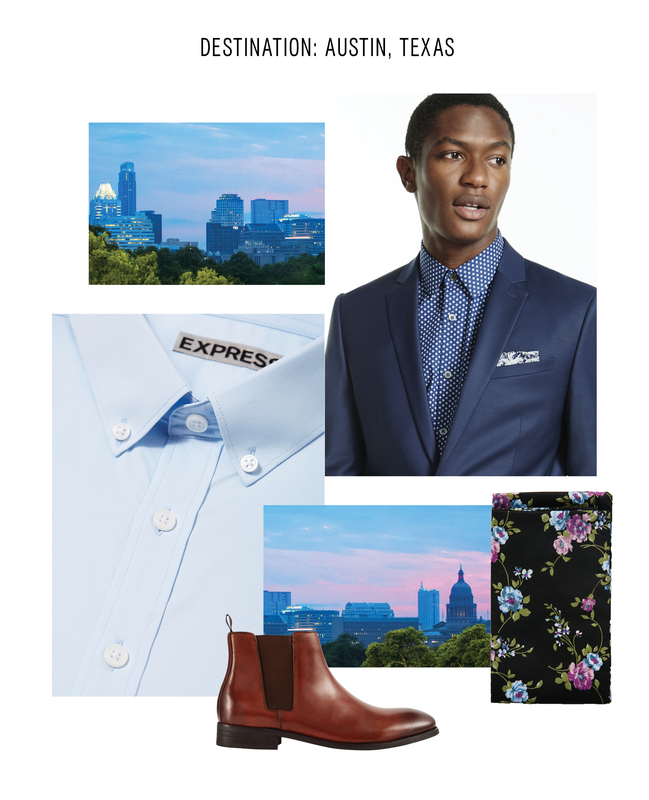 Don’t take the move as an excuse to skimp on ironing, tailoring, and accessorizing. Honor the invitation by looking impeccable, even if your jacket and pants don’t technically match. Release your inner dandy. Go bold or go home with strong colors, Italian style god accessories, and eyewear with personality. Your dad wears navy blazers and tan chinos and calls it a day. You, friend, are a little bolder than that. Make sure your look is just as strong without the jacket on. If you decide to take your jacket off for, say, a classic ‘80s banger, you want your pants and shirt to be a step above the catering crew. A bold tie or great pair of shoes should do the trick. Outdoor weddings require a pair of sunglasses that shield your eyes from the sun—and look great in group photos, too. Pick the pair that suits your style and face shape. Tinted lenses look dead cool and are the polite way to interface with the bride’s 80-year-old great aunt. Just say no to blackout shades. 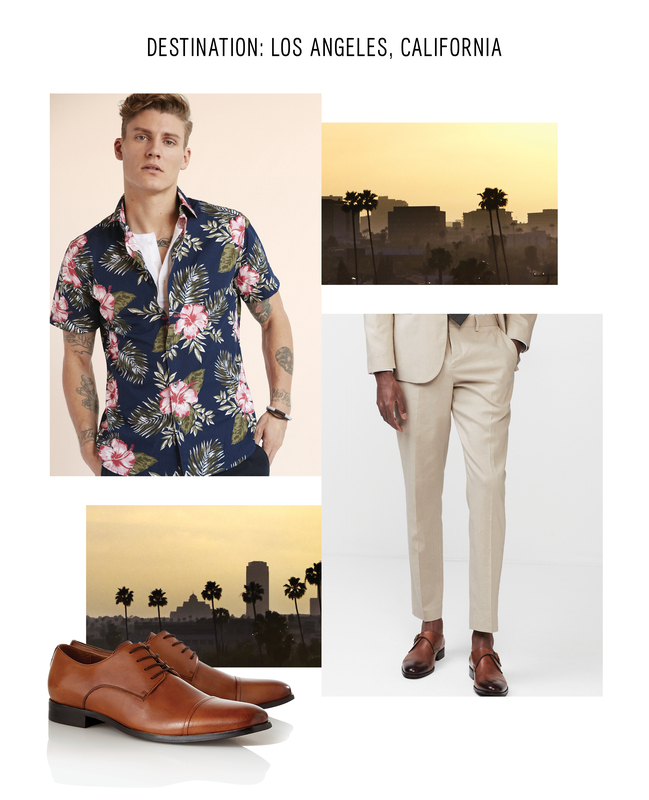 Hard-bottom dress shoes in high-shine leather are always stylish but some warm-weather weddings—the ones that take place on grass and sand—open the door to more casual shoes. Suede lace-ups feel at home with cotton suits, or try simple leather sneakers for a sporty twist. Airflow will make wearing a suit during the heat of the day infinitely more bearable. Skip your necktie in favor of a cotton pocket square or wear no-show socks instead of dress socks to keep your look on point and your body temperature in check.